It was an interesting week at the Mostra Convegno, 15-18 March in Italy. The interest in OpenTherm grows. With the participating members we had a lot visitors at our stand and there were interesting conversations. 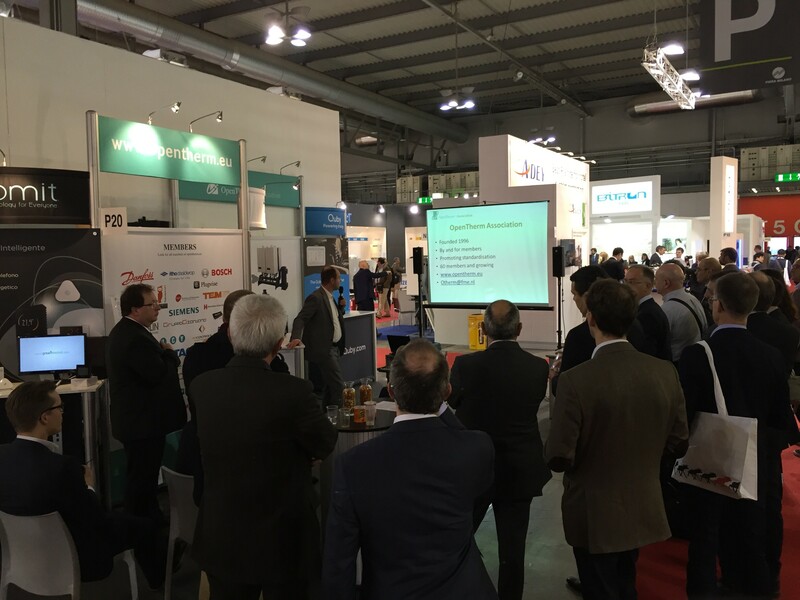 We also had an OpenTherm presentation inside the stand ‘How to increase your competitiveness with ErP’ on Tuesday March 15th. Manufacturers and installers learned about the advantages OpenTherm delivers to become more competitive using recent legislations like the Energy Labeling Directive and Building Energy Performance Assessment in the United Kingdom. Also the advantages of OpenTherm in the current developments around connectivity big data and remote access were adressed. The OpenTherm Association has welcomed several new members recently. The OpenTherm Association looks back on a successful fair! We hope to welcome new members in the next period.